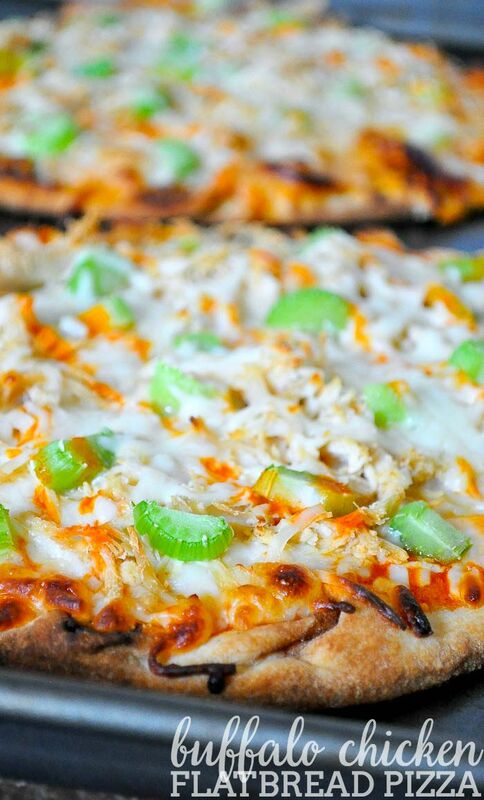 Delicious Buffalo Chicken Flatbread Pizza – perfect as lunch, a quick dinner, and a game day appetizer!! One of the things about working at home is that lunch gets really boring. I love leftovers, but there is only so many days in a row I want to eat the same things over and over again, and there are only so many peanut butter sandwiches I can eat in a week. 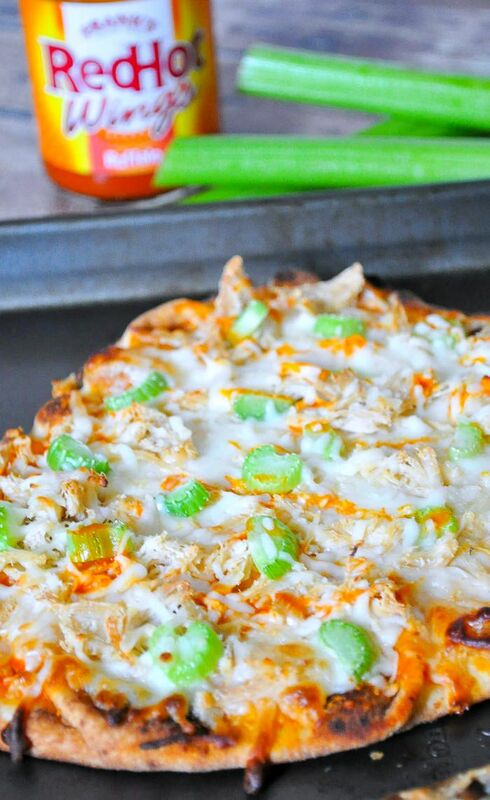 I need some variety and this Buffalo Chicken Flatbread Pizza is PERFECT for a quick, yummy lunch. The first time I made it, I made both for a lunch date at home with Bryan. It felt special because we were having something so tasty, but it was so fast to make. 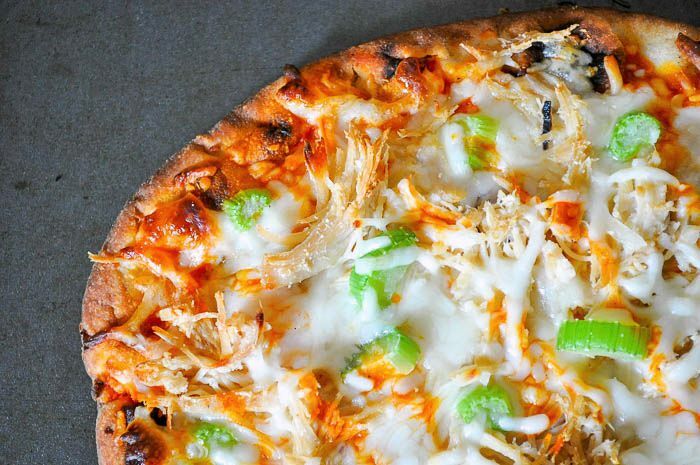 It’s a great recipe for using us leftover cooked chicken. This flatbread pizza makes less than 10 minutes to make and about 10 minutes to make, which is fast in my opinion for a yummy lunch and especially a good dinner! I will definitely be making this again for a quick dinner alongside a salad. I used Stonefire Flatbeads for the crust and love them. It is a fresh product that has never steered me wrong. You can definitely use your own homemade flatbread or naan, but this is a great option for busy cooks! As for buffalo sauce, I only ever use Frank’s RedHot Wings Buffalo Sauce – like in my Lightened Buffalo Chicken Dip. It is my all time favorite! Place the two flathreads on parchment paper and then spread on desired amount of buffalo sauce with a spoon or pastry brush. 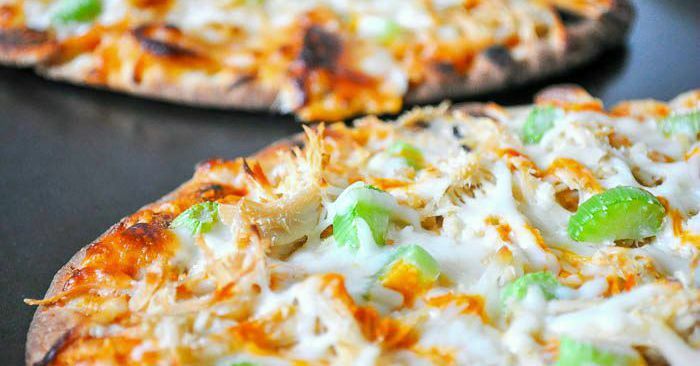 Top each with cheese, shredded chicken, celery and a little more of the cheese. Drizzle a little bit more of the buffalo sauce on top.